September 1, 2016 at 6:06 am. Comparison of FliteBoard Paper Laminated Foamboards with Dollar Tree Adams Readi board and Elmers FoamBoard. 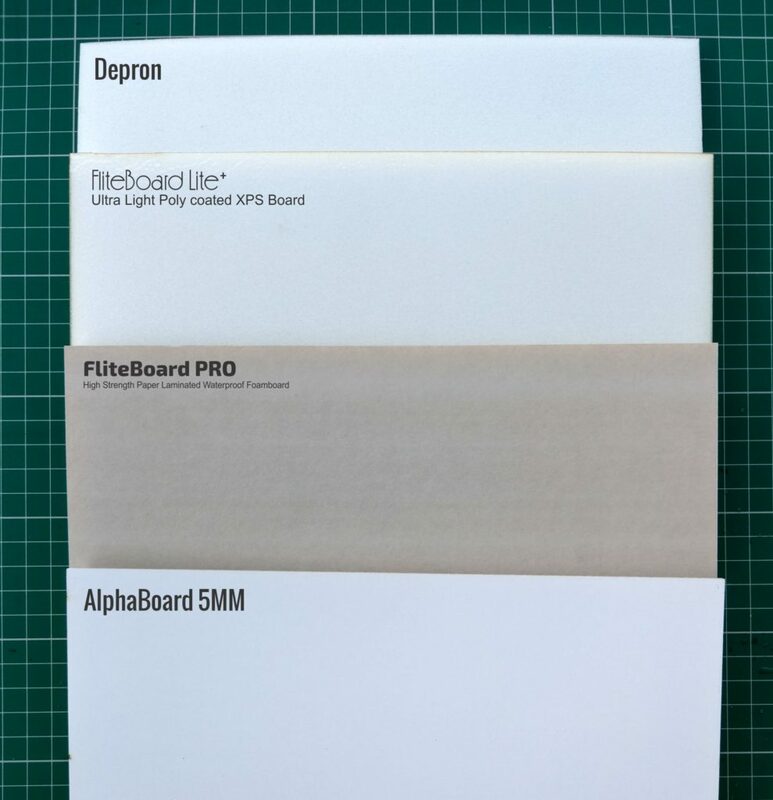 I am sure everyone would be interested to see, know and learn about the difference between the 2 FliteBoard offerings : PRO and LITE, and also how they fare against the popular DTF ( Dollar Tree Foam boards ). Which has some real good work done in documenting the parameters. 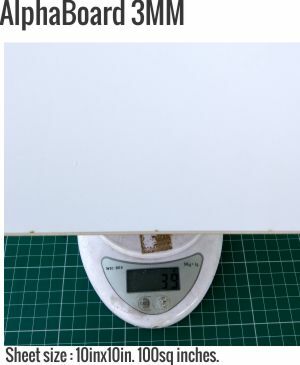 Weight is the most important criteria, in the aeromodelling application of paper laminated Foamboards. We measured 10inx10in piece of available materials and weighed them . 10inx10in piece weighed : 32gms. A 20”x30” sheet would weigh : 192gms. 10inx10in piece weighed : 26gms. A 20”x30” sheet would weigh : 156gms. 10inx10in piece weighed : 16gms. A 20”x30” sheet would weigh : 96gms. 10inx10in piece weighed : 44gms. A 20”x30” sheet would weigh : 264gms. 10inx10in piece weighed : 39gms. 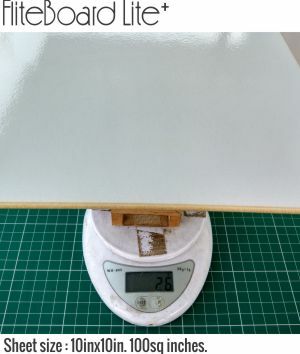 A 20”x30” sheet would weigh : 234gms. 10inx10in piece weighed : 19gms. 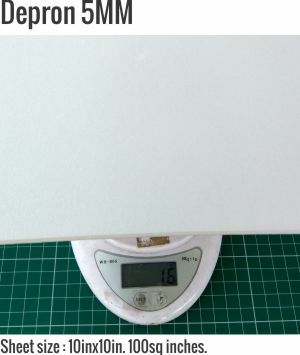 A 20”x30” sheet would weigh : 115gms. 10inx10in piece weighed : 40gms. 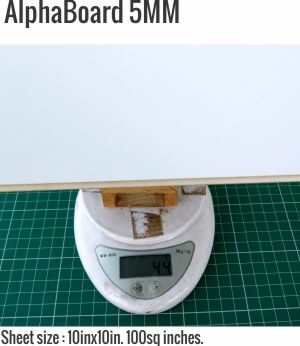 A 20”x30” sheet would weigh : 240gms. Without any doubt, the Dollar Tree foamboard is the lightest of the foamboards. Unfortunately it is not available outside the US. Even within the US several modellors have been using Elmers Brand of Foamboard, which is almost twice as heavy. Scratch builders across UK, Europe and Australia have also struggled to find a material that weighs like the DTF board and have used heavier materials. 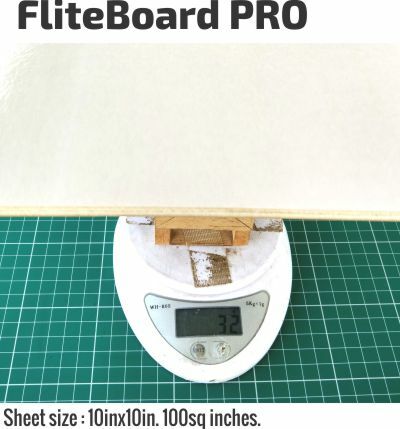 The closest to the Dollar Tree Foam in weight is the FliteBoardLite. We took a 10”x20” sheet , laid it up across two piles of books and added weight till it broke down. The spacing between the books was kept at 16” . We used these values so that we could matchup our results against the test results on the above comparison article. Breaking Strength* 1.6Kg 5.2Kgs 4.5Kg 2.6Kgs 5Kgs. New All-rounder version in the works !! Designing and Building some EPP Flying Wings !